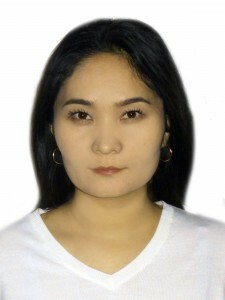 In 2011 she entered the Eurasian national University. L. N. Gumilyov (ENU), faculty of Economics, specialty 5B090200 – “Tourism”. In 2016, enrolled in a master’s degree in 6М050100 “State and local management”. Conducts practical classes in the disciplines “Fundamentals of engineering entrepreneurship”, “Economics and production management” in the state language.